Tommy Sosa holds down the bottom of the RedHouse rhythm section. 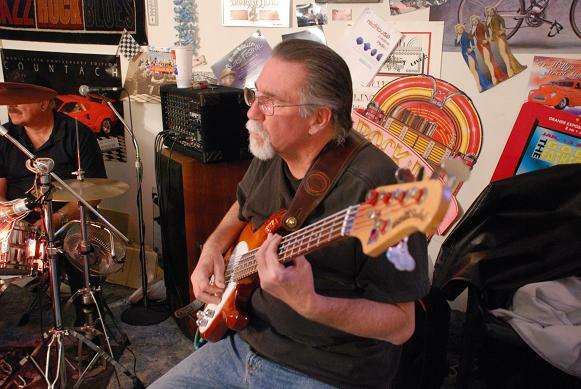 A forty-year veteran of R & B, Classic Rock, Country, Latin, and Blues, he keeps it in the pocket with a fat bass sound that's distictive to the RedHouse's Rockin Blues. Within his forty plus years of experience, he played with notable Bay Area groups such as Barons of Soul, Rudy and the Cruisers, Sangria, and Shaboom.